The other day after coming out of the mum & baby cinema around lunchtime, I was absolutely famished, and headed into the Gourmet Burger Kitchen across the street for a veggie burger. It was a hot day and before I knew it I had seen the chilly, frosted iconic glass bottle and had ordered myself a coke. For me that coke was a very rare ‘treat’. But like our American and Canadian friends, many Brits continue to drink their calories in the form of beer, wine, juice and soda. I don’t need to shock you with the risks associated with soda consumption, which has been linked to heart disease, diabetes and obesity…because these aren’t shocking facts anymore. They’ve been around for a long time now so its so easy to glaze over when you read them and just not take them seriously. The high fructose corn syrup which sweetens soda comes from genetically modified corn that contains pesticides which – in only seconds – destroys your good gut flora, ruining immunity and contributing to an overall immune-compromised body that constantly struggles to find nutrients for survival and systematically loses the ability to fight off pathogens, parasites and antibiotic-resistant superbugs. You’ll probably also know that diet sodas are just as bad, with research published in the Journal of the American Geriatrics Society showing that diet soda intake is directly related to abdominal obesity in adults over the age of 65 and the waist circumference amongst diet soda drinkers being three times that of non-diet soda drinkers. Oh poo. Well, there goes that plan. Overall, surprise surprise, its just better to drink water. The University of Bristol and Bangor University found that drinking sweet tasting drinks, regardless of their sugar content or lack thereof, dulls your sensitivity to sweet tastes in general and the sweet treat you once enjoyed becomes less of a special reward. This establishes a vicious cycle eating sweet foods and drinks on a regular basis. Zevia do every flavour of soda you could want, from cola to grape soda to cream soda and root beer, all packaged in aluminium cans (although they do a glass bottle range now as well). They do a tonic water for those of you who miss the occasional G&T and – get this – they even make a ‘Dr Zevia’. Its sweetened with stevia, monk fruit and erythritol – all plant-based with no caloric value or effect on blood glucose levels – and they are Non-GMO Project Verified. 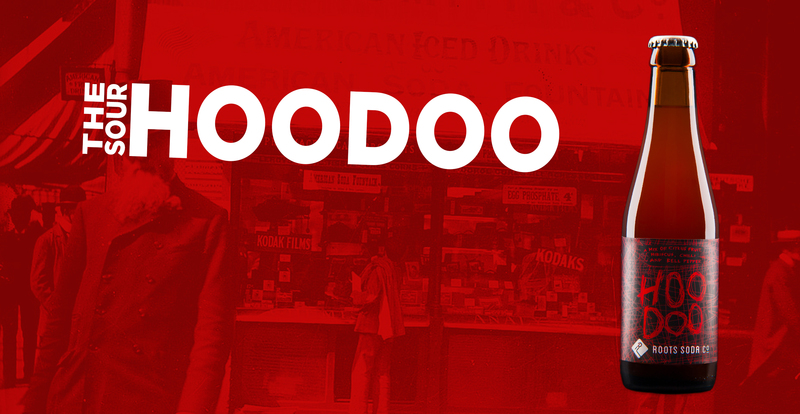 The good news is that in the US and Canada it’s available nearly everywhere. EDIT 2018: The bad news is that here in the UK it seems to have been halfheartedly launched a couple of times, but never really took off, which is a shame. Whole Earth are a London-based company here in the UK which grew from a small macrobiotic restaurant back in the 60’s. 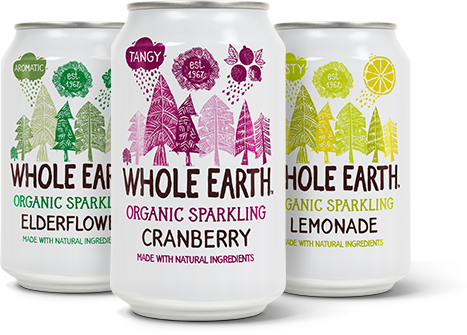 They make a range of organic sodas packaged in aluminium cans. They make a cola as well as cranberry, lemon and elderflower sodas. You can see their macrobiotic roots reflected in their cola which is flavoured with barley rather than the weird and wonderful botanicals you seem in some natural colas. They’re sweetened with organic agave nectar which has a lower GI than cane sugar. Fever-Tree are a UK luxury botanical drinks company. They primarily make mixers, such as tonic water, ginger beer, ginger ale and lemonade. Their drinks are beautifully packaged in glass bottles so you do feel you are drinking something special with their products. As a result, they have rather a lot of rewards to show for their efforts. Their drinks are all sweetened using natural cane sugar and natural fruit sugar. But, remember, its still sugar. Its still going to spike your insulin levels. Its still high GI. It still has calories. But its ‘real’ sugar, so it will be less damaging to your gut than the sugar you’ll find in a can of Coke. Fentimans market their sodas as “botanically brewed beverages”. But at 50 calories per 100 ml, their Curiosity Cola comes in at 8 calories per 100 ml higher than a can of Coke and it contains glucose syrup, yeast, sugar, unspecified flavourings, and a variety of e-numbers such as caramel colour (E150d) and phosphoric acid (E338). Oh, and it is caffeinated as well. It has been labelled by The Guardian as “The World’s Best Cola” however, so its up to you if that’s how you choose to spend your daily caloric intake. They do a number of other flavoured sodas and cocktail mixers as well, including a delicious Rose Lemonade (coming in at a whopping 52 calories per 100 ml). They’re not organic and they only will confirm that their Victorian Lemonade and Ginger Beer are GMO free. (Find out more about why you’d want to avoid GMO’s here.) 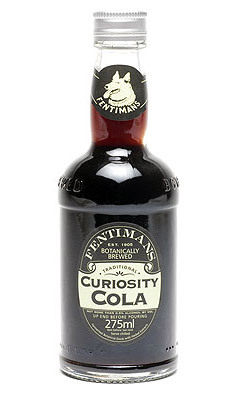 As such, I opted not to do a ‘taste test’ of their cola for this article and would NOT consider Fentimans to be a healthy alternative to conventional soda. Because this article is about soft drinks available in the UK, we now come to Roots, a small, small, independently owned soda works in Granton, Edinburgh. They make their soda by hand and claim that their beverages are all natural fizzy drinks comprising of carbonated water, freshly squeezed whole fruit juice, raw cane sugar with infused flavour from herbs, spices, and petals. Their sodas contain no artificial sweeteners, colourings, flavourings, preservatives or caffeine. They’re not organic, but I like that they market their sodas as a special treat, only to be consumed once in a while, because “sugar is still sugar, and both fructose and sugar are *not cool* for us.” At the moment there are only a couple of places in London carrying Roots sodas (BrewDog in Camden and Shoreditch). I’m a mother of a 4 month old baby, so heading off the Shoreditch with the pram to taste a soda for my blog article wasn’t going to happen. And as the company couldn’t provide me with a sample of their product for this article, I have to say I haven’t tried it yet. I’ll update this article when I’ve done so. Okay, I’m including this product in this article in no way because I think you should drink it. I’m including it because some people will want to know: “Is this a healthier alternative?” Yes, its a healthier alternative to Coke Classic, in the way that cigars are a healthier alternative to cigarettes. To start with, the green label is an absurdly obvious bit of greenwashing, as is the 30% of the bottle being made from unspecified plant-based resources (which I seriously suspect is GMO corn). The product was launched in Argentina a couple of years ago and has now made its way to the UK. (Pepsi have a similar product called Pepsi True, but as it doesn’t appear to be available in the UK, I’m not including it here.) EDIT 2018: This product was phased out of the UK market in June 2017, but it’s still available in around 30 other markets, including the US. 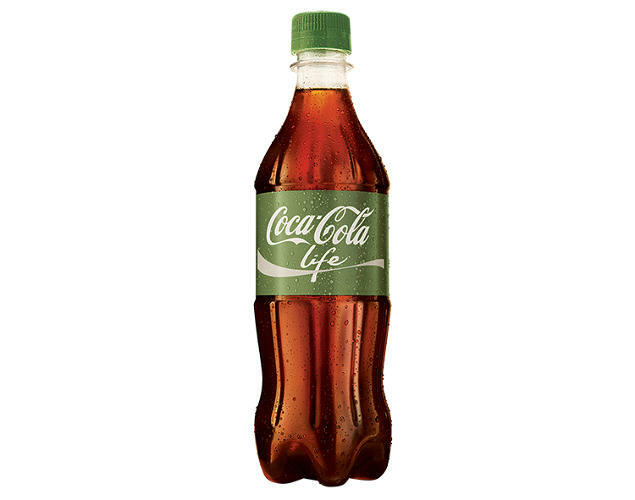 Coca-Cola Life contains 1/3 less sugar than regular Coke, but still contains 2/3 of whatever awful sugar it is that Coke uses in their normal soft drinks, along with a bit of stevia for “Natural Sweetness”. And it tastes awful to boot. This entry was posted in American & Canadian, Musings, Uncategorized and tagged agave nectar, agave syrup, coca cola, coca cola life, coke, curiosity cola, drink, fentimans, fever tree, fizzy drink, fizzy pop, food, fructose, genetically modified, glucose fructose, gmo, health, high GI, hoo doo, low GI, pepsi, pop, roots, roots hoo doo, rose lemonade, soda, stevia, sugar, tonic, whole earth, zevia on July 4, 2015 by Our Little Organic Life.